The event will be hosted at the Maple Grove Raceway in Mohnton, Pennsylvania. 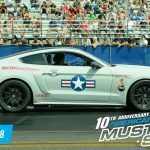 This is the America’s largest one-day Mustang show, and has raised funds for various charities since its inception. Most notably, Philadelphia’s Make-A-Wish® Foundation has been the charity of choice for the company since 2015. 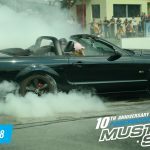 Events like the burnout competition will be returning, showcasing a handful of Mustangs roasting their rear tires to the crowd’s delight. 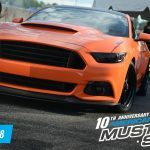 Along with the burnout competition, the revving contest will be back this year, giving Mustang owners the chance to flex their muscle and let their pipes scream for the crowd. 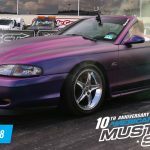 There will also be exhibition drag races, pitting some of the most modified vehicles against each other in the ultimate of speed show downs. 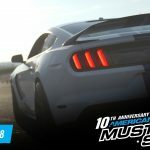 You’ll be able to purchase parts for your Mustang, and you’ll have the opportunity to win some at the multiple raffles, which will run the duration of the show. A variety of AmericanMuscle experts will be on hand to answer all technical questions and meet with customers. Special guest Chip Foose will be in attendance, posing for pictures and signing autographs. Attendees have the option to pay $25 for general car pre-registration, $35 for day-of registration, or opt for VIP show registration at $75 a pop, which includes prime parking in the heart of the show. Once again, 100% of the proceeds from the VIP parking will go toward Make-A-Wish®. 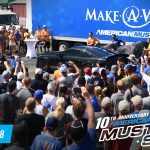 The Make-A-Wish ® Opening Ceremony Parade will kick-off the end of show ceremonies, with a parade of convertible Mustang cruising down the strip with a Make-A-Wish® child riding in the passenger seat. 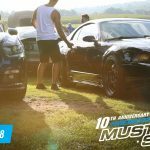 The goal of the show is to ultimately celebrate America’s favorite pony car, and the community of enthusiasts that love and drive them, while benefiting a worthy cause. 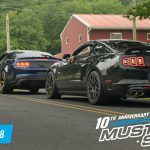 See you and your friends at AM2018 at Maple Grove Raceway on June 16th!